This one-day event was collaborated with intermediate artist Michael Kindernay. Under the title Air – Motion – Sound, we prepared a series of activities for the I.P. Pavlova Square. 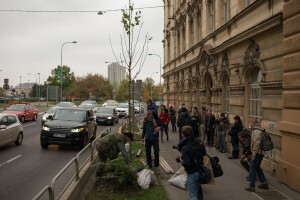 The purpose of the event was to discuss with the citizens of Prague, who are passing through the area every day, the possibilities of improving the I.P. Pavlova Square and its transformation away from a busy intersection. 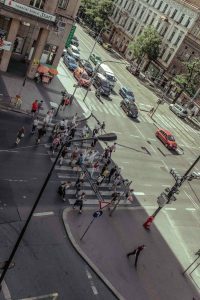 At the same time, we wanted to inform the public about the movement of people, air pollution, and noise present in one of Prague’s most frequented places. The source of all of the information was measured with digital instruments, which we processed into a comprehensible form and communicated with the public through a series of postcards and small artistic and social activities. Canaries, DIY measuring devices, were installed around I. P. Pavlova showing first floor dust values above 300 mg/ m³, which exceeds acceptable values. White linens were hung out of windows around the I. P. Pavlova Square. The linens, which were dirty due to air pollution, were flaunted by models prepared by Jitka Pospíšilová. Every half an hour the models were shown for 6 seconds, or the length of time pedestrians have to cross the busy crosswalk. Movement Illustrator Zuzana Bramborová captured the movement of people on the Magistrála directly on the I.P. Pavlova Square. 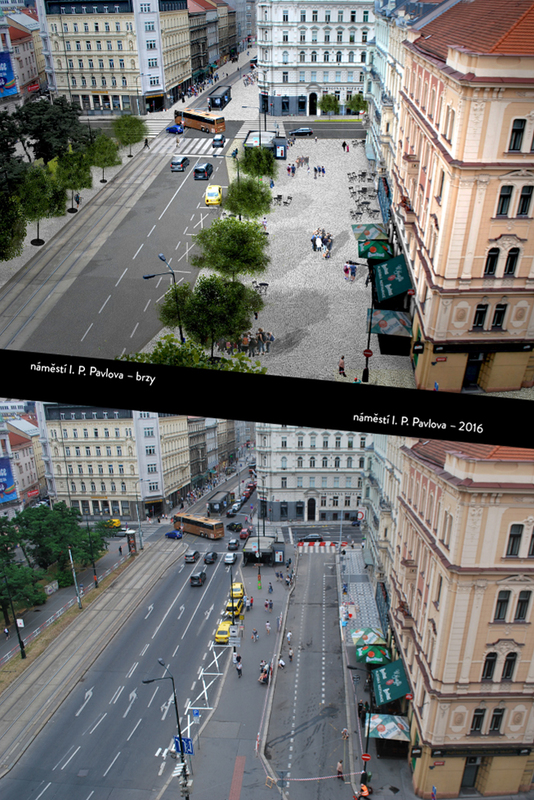 In the space at the city center between the National Museum and the Nuselským Bridge, over 104,200 pedestrians cross the highway daily, as opposed to 81,600 cars. Although there are more pedestrians in the area than cars, the space is almost completely dedicated to car traffic. This data is based on the measurements made by the TSK in April 2013 within the 14-day measurement between 6:00am-10:00pm. There are 144,000 people in the Magistrála area, between the National Museum and the Nuselským Bridge, daily. This is more than the amount living in Libereci or Olomouci. Only one in a hundred stays here for more than 30 minutes. What will make people stay longer? 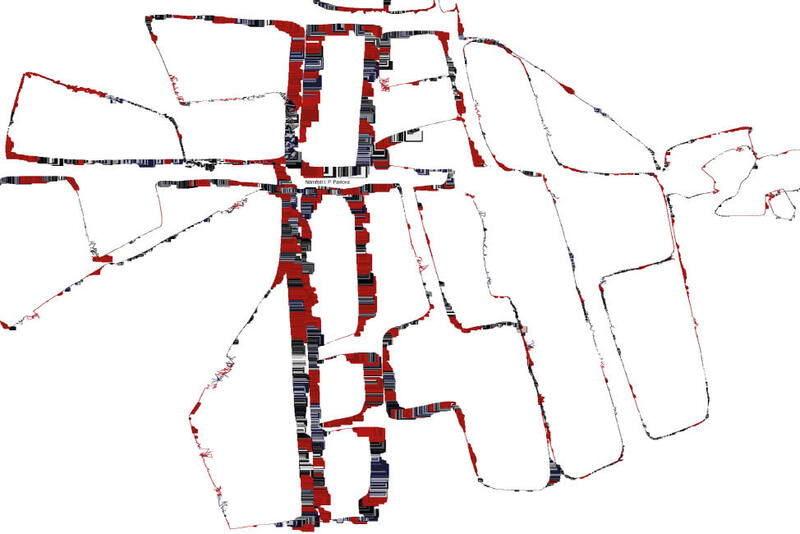 Michal Kindernay created a visual sound map of the city’s driving paths. It shows a visual representation of the sound throughout the Magistála. On the streets Sokolská and Legerova, it was not a quest for silence, but rather the recognition of the unbearable noise of a traffic junction in the middle of the city. At the event, pedestrians had the chance to immerse themselves in the silence that the square has the potential for. 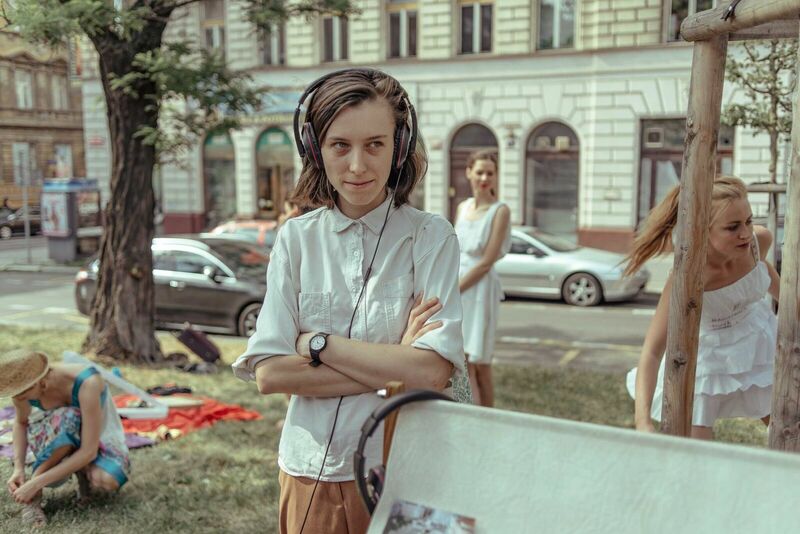 Special headphones also transformed the noise of busy cars into music that the pedestrians could listen to while they enjoyed the picnic under the trees. The picnic was accompanied by harp performer Kateřina Zochová. She started playing at 3:30pm. During the event, we asked pedestrians passing by to give their opinion on the project at hand. They were asked whether they agreed with the project, disliked the project, or did not care about the project. Pedestrians were also asked to include suggestions on a separate board to further gain public opinions. 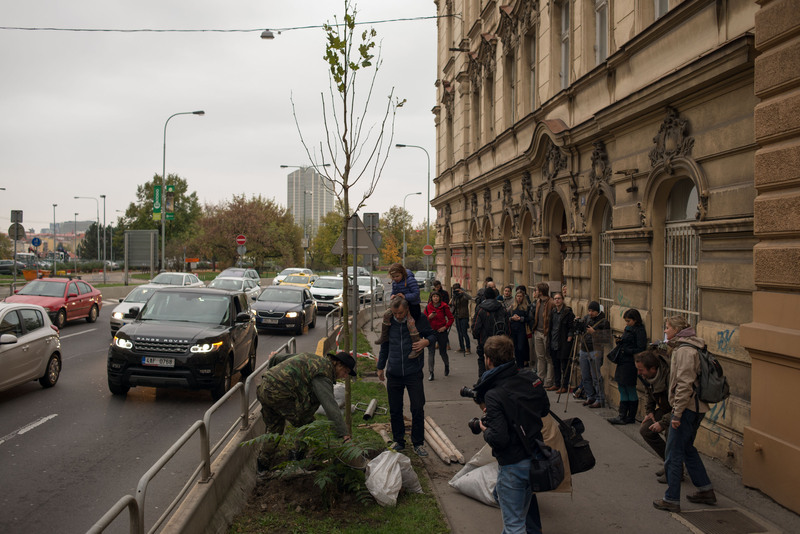 London Plane (Platanus hispanica) was planted at the corner of Boženy Němcové / Legerova: One month and one day after the opening of the Blanka Tunnel on October 20, 2015, International Tree Day, we decided to continue our transformation efforts on the North-South Magistrála Conjunction by planting its first tree, which became the nucleus of the Prague alleys lining the Magistrála. 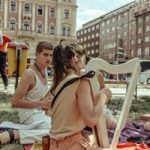 This two-week public gathering transformed the current side parking lot into a meeting place and a stage for performances, Prague cultural initiatives, and citizens. 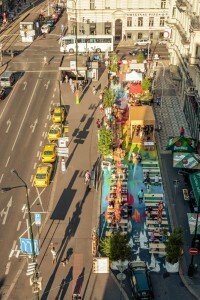 We tested whether one of the most exclusive squares, Vinohrad, can again become a lively place. The event attracted 96,000 visitors for 14 days, and, with only small budget, turned a part of the intersection into active public space. The project involved about 100 volunteers and included more than 40 different activities. Open Stage I.P. Pavlova won an honorable mention at the Grand Prix of Architects 2014 in the category of Urbanism. This picture shows the document in which the first district agreed on joint steps leading to the transformation of the highway. 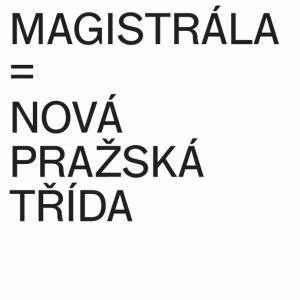 The exhibition dedicated to the history of Prague’s North-South Magistrála conjunction was connected with informal discussions between the citizens and the Department of the Development of the City of Prague (Today’s Institute for Planning and Development). We initiated the first joint meeting of politicians and professionals from the municipality and city districts. These experts were invited to discuss the topic of transforming the highway. 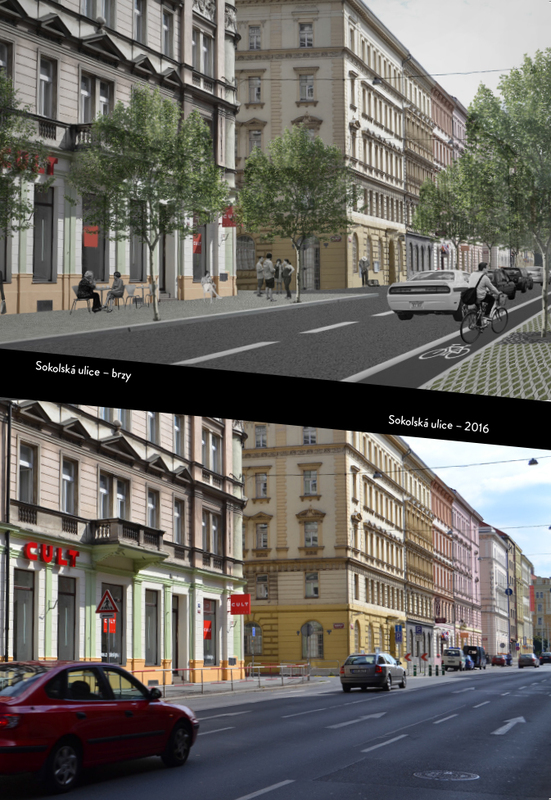 Architectural studios Elastik and MAT from the Netherlands are part of this international project (Prague – Dublin – Paris) and have called for cooperation to improve highway conditions. 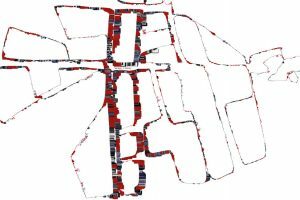 Their studies became the basis for opening up the debate for “urbanizing” the North-South conjunction. 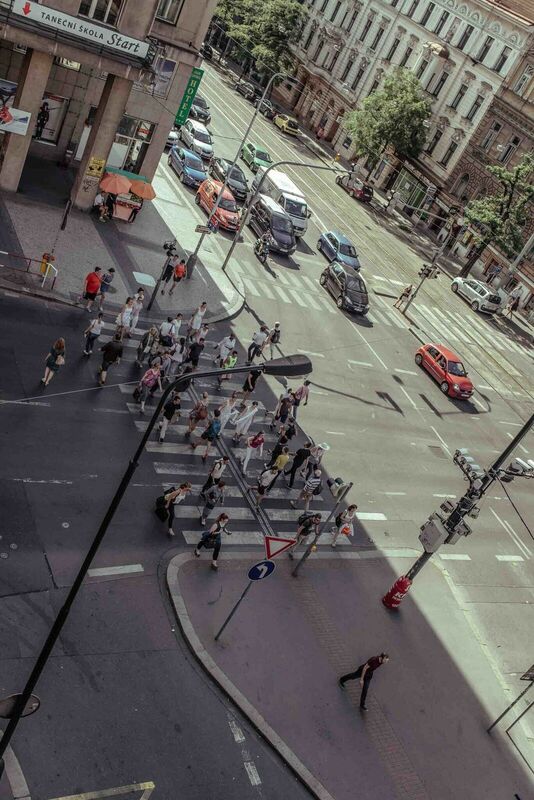 Rolling out the red carpet through the crossing, in cooperation with Tomas Džadoň, symbolized prioritizing pedestrians over cars. The pedestrian crosswalk at I.P. Pavlova is busy most of the day, but it only gives pedestrians 6 seconds to cross and cars 60 seconds. Every other day the cops give fines for non-compliant pedestrians while crossing.